and Companions for Elderly Care! Finding caring and qualified caregivers for the elderly can be overwhelming. Value Care can eliminate this difficulty by referring qualified caregivers for our clients in need of elderly care. We strive to offer peace of mind during what is often a difficult transition. 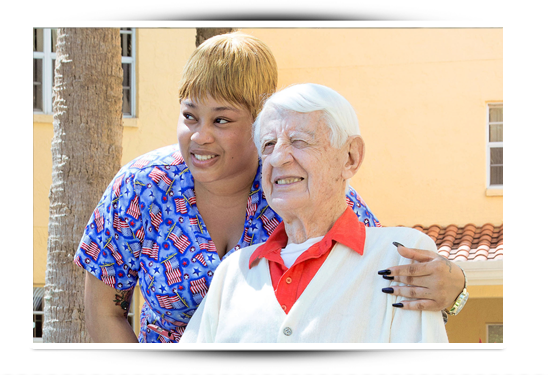 We find qualified caregivers passionate about their career and the elderly people they care for. Once they begin to register with us, we begin a special screening process. We screen all caregivers to ensure that they meet all legal requirements like CPR and OSHA certification, Home Health Aide Certification, criminal background checks, driver’s license and insurance, and more. When clients reach out to us for help in finding elderly care services, we use our Care Match Program to find the best caregiver to meets their needs. No matter their specific care needs or schedule, we refer the best caregiver for each client. Our client can then choose a schedule which suits them. We are so confident in our ability to match caregivers with clients that we offer a First Day Satisfaction Guarantee. We follow up after the first visit to make sure our clients are 100% satisfied with their choices.